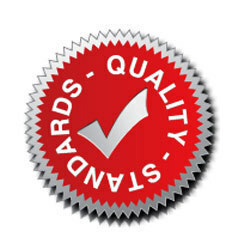 For consistent growth in the business, quality control should be maintained. As we are manufacturing and supplying Industrial Plastic Products, our company stringently performs various tests at varied stages during manufacturing process. Moreover, the products are designed and developed using technological innovation, highest quality standards and due to this we are able to meet the market demands. Further, we also ensure that the raw material is procured from vendors is also quality tested before its fabrication. Company is mainly rewarded when the clients are satisfied with quality products and established business approach. Keeping this in mind, we are building strong business strategy and accordingly, we are fabricating Industrial Plastic Products. Moreover, our endeavor is to interact with eminent clients to maintain a strong mutual understanding to come up with our client’s satisfaction and exceptions. With these client centric attributes and quality range of products, we have catered a spread out clients across the nation.